So I might have been a little premature in declaring that most of the #LitterWatch2017 litter was unchanged and would continue on a monthly basis as #LitterWatch2018. 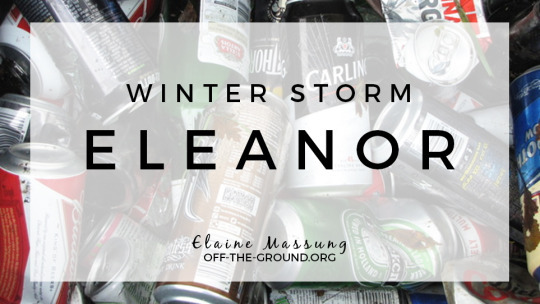 Storm Eleanor arrived last night and battered Ireland, the UK, northern France and my garden, leading to some of the rubbish getting thrown off the board unharmed (e.g. the water bottle) while other pieces like the receipt and cardboard takeaway container got absolutely shredded. What happens next? I will wait for the wind to die down before assessing what can be popped back on the board and whether to continue with the project. This is also an opportunity to ask that you please collect any stray rubbish you can: the winds will blow litter everywhere, including into waterways. The more we can collect and safely dispose of now, the less chance it has of reaching the sea (and other hard to reach places).